This home is simply~amazing! Perfectly designed for large or multi family use, this home boasts 5 bedrooms, 3 bathrooms plus a bunk room or game room, located just off the garage. Upon entering the home, you will find a wall of windows in the living room area which brings in ample natural light.The well designed kitchen will delight those who enjoy cooking, and there are 2 eating areas (formal and informal) plus a large deck area off the back side of the home for meals and entertaining. The guest bedroom and spacious master bedroom also share the main level. Upstairs are 3 large additional guest bedrooms and 1 bathroom. On the lowest level is a game room/bunk room ideal for teens or a late night poker game? 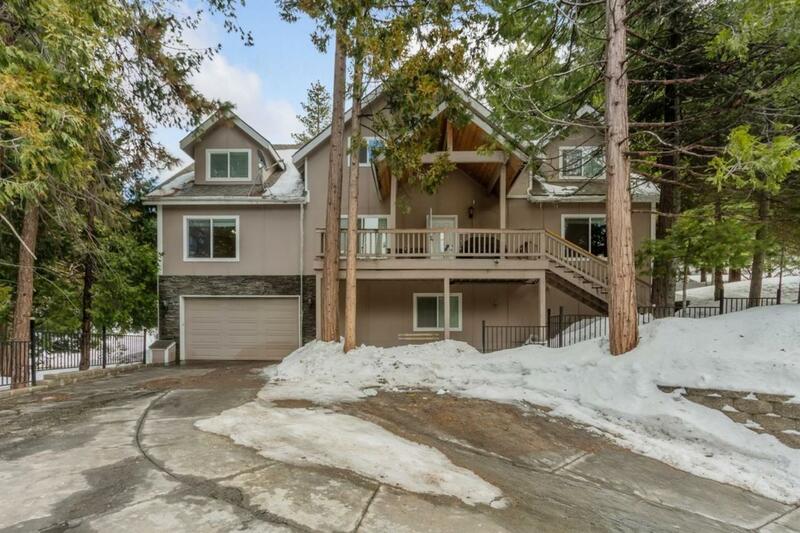 The garage and work shop area is huge~ a perfect place to store your mountain toys.The home perches on the hill with a newly engineered driveway making this tree-top home easier to access in all seasons. This home has been a wonderful and lucrative vacation rental! A must see!